Apartment Totally refurbished, with terrace of 120 square meters, beautiful views of countryside, sea and castle. 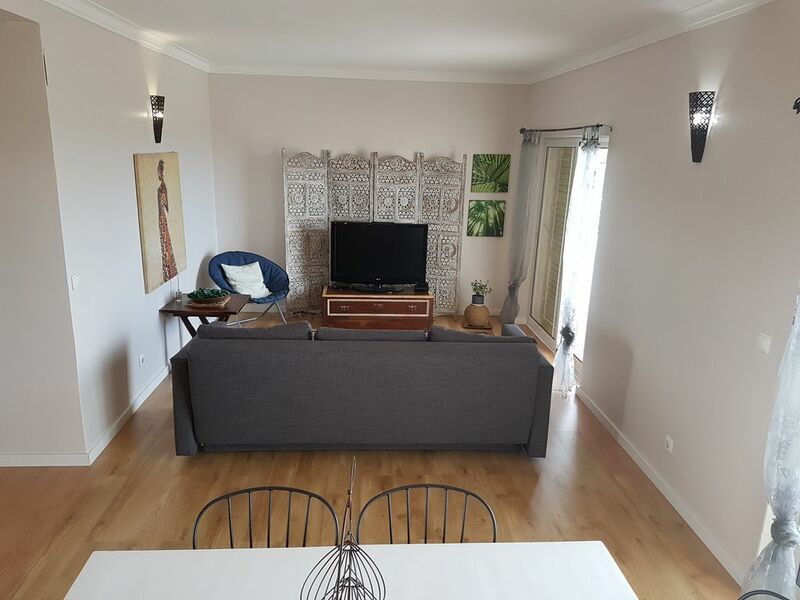 All furnished with all appliances, current design decoration, 2 bathrooms, 3 bedrooms, sun loungers and outdoor furniture with barbecue and rocking chairs. The condo has a small playground, and two pools one of them for children. Beautiful and pleasant, quiet, paradisiacal place. Located 30 minutes from Lisbon, near several beaches (Sesimbra, Meco, Lagoa de Albufeira, Arrábida). Bars with live music, wonderful gastronomy, nautical sports, fishing, cycling, natural parks, places of historical and cultural interest.